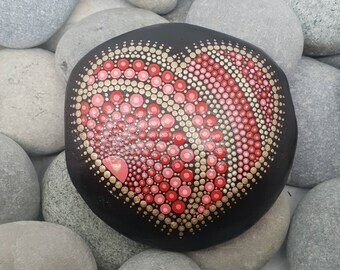 This is a large rock, from the beaches of the French Riviera. 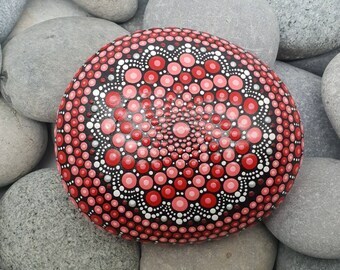 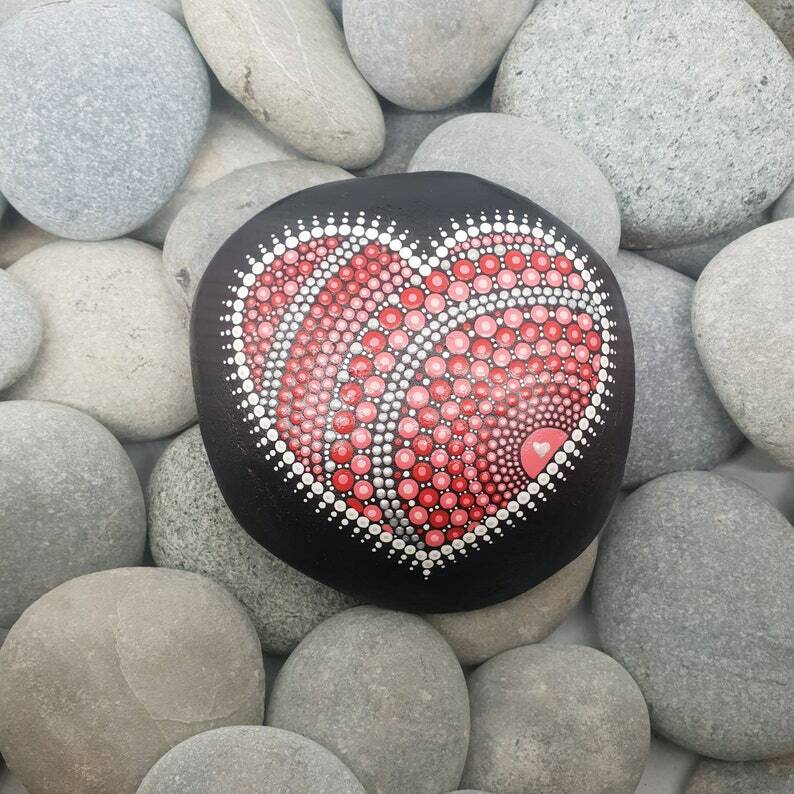 This mandala stone is painted all black, with mandala art detailing hand-painted in a mix of red & coral shades in a heart design. 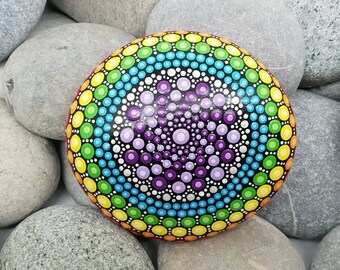 Extra detailing is finished in lighter shades of each colour and white. 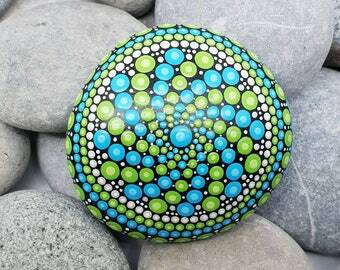 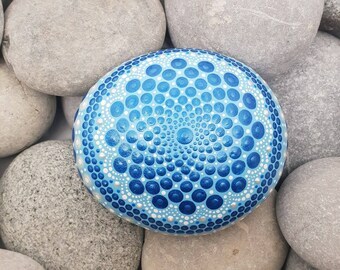 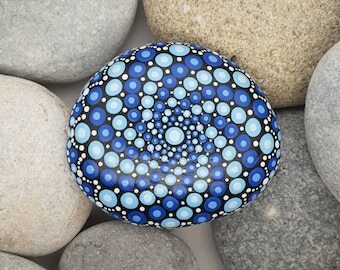 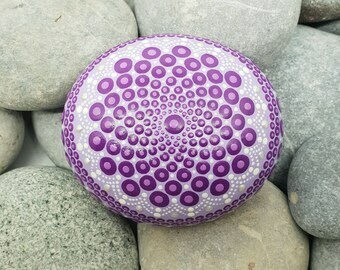 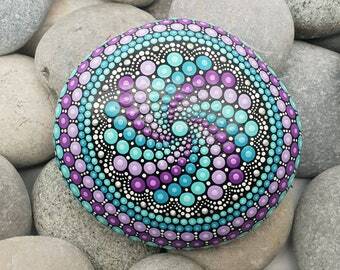 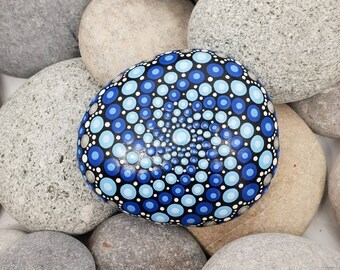 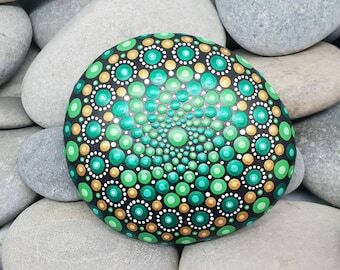 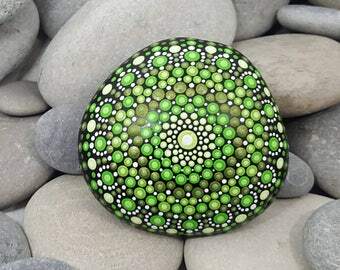 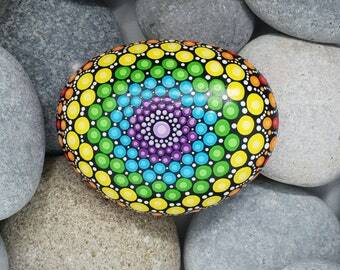 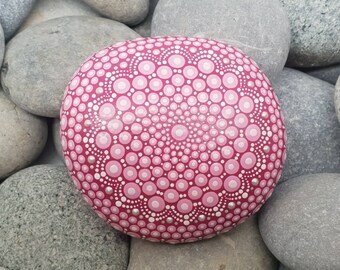 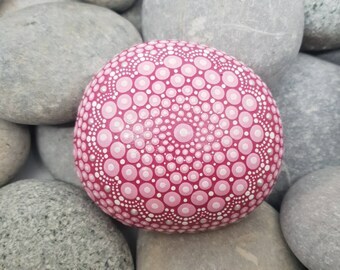 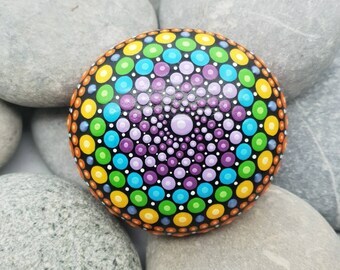 This sacred geometry painted stone is a beautiful feature for any home!